Look at some of our home learning from this week . . 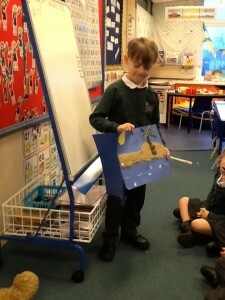 This week in English we began to explore the story of ‘Soggy to the Rescue’. In the next two weeks we will be writing our own rescue stories based on the structure of ‘Soggy to the Rescue’. 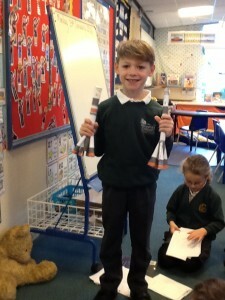 In Maths we have been learning about weight. We have been using balances and kitchen scales to weigh accurately. 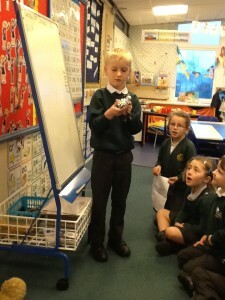 This week we have learnt the alternative pronunciations for ‘ea’, ‘er’, ‘ou’ and ‘y’. Next week we will be continuing with alternative pronunciations. We will be learning ‘ch’, ‘c’, ‘g’ and ‘ey’. Today your child will have brought home a phonics screening check from 2013 and other phonics resources in their book bag. Your child will need to segment and blend the alien words and real words accurately to pass the check. 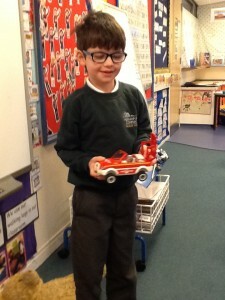 For more information about Phonics please arrange a time to come and see me. All parents are welcome to come and watch a Phonics session in action. Please see me to arrange a suitable day. 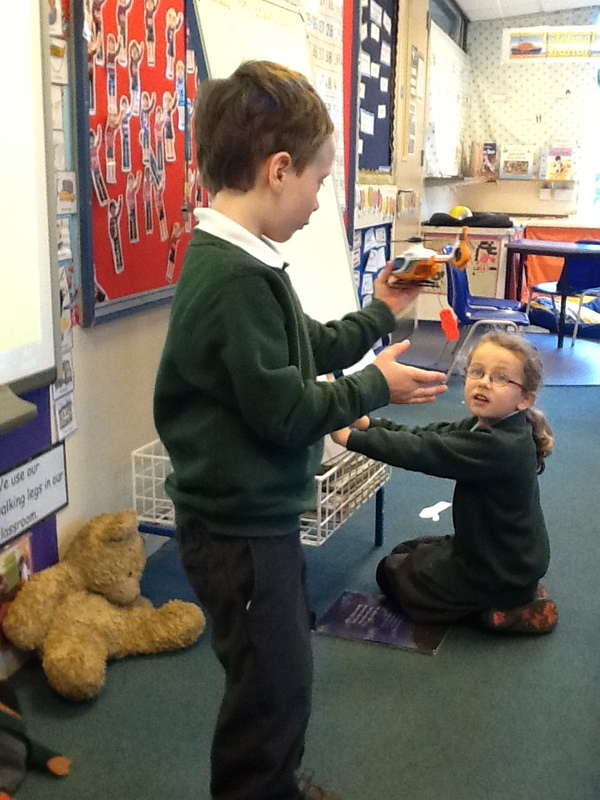 This week we have been measuring weight. 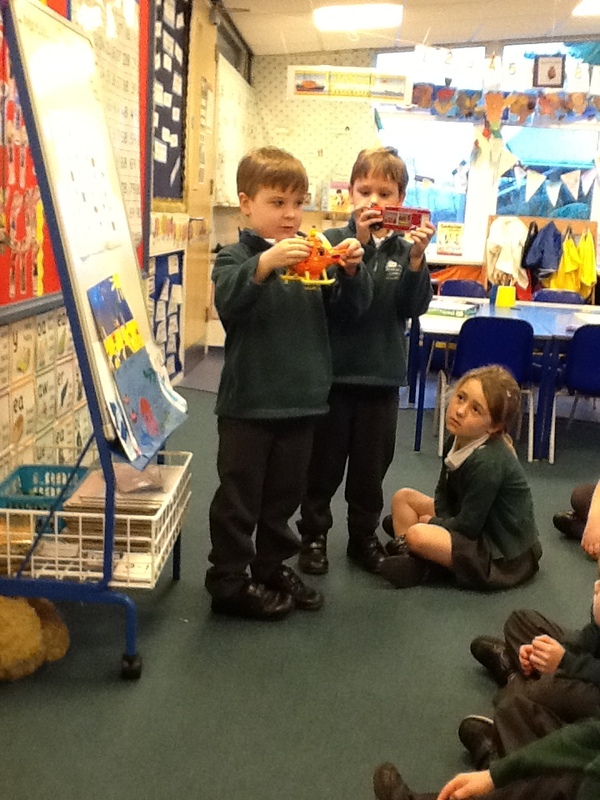 We have been comparing the weight of objects, measuring weight using cubes and weighing in grams. For home learning this week I would like the children to compare and order objects from around the home (toys, fruit, vegetables). The children can pretend that they are a human balance scale. Can they use their hands to tell which object is the heaviest? Can they order the objects from lightest to heaviest? Record by drawing and labelling the objects in your book. For an extra challenge find 4 or 5 food items labelled with the weight in grams (tins and packets are good for this). 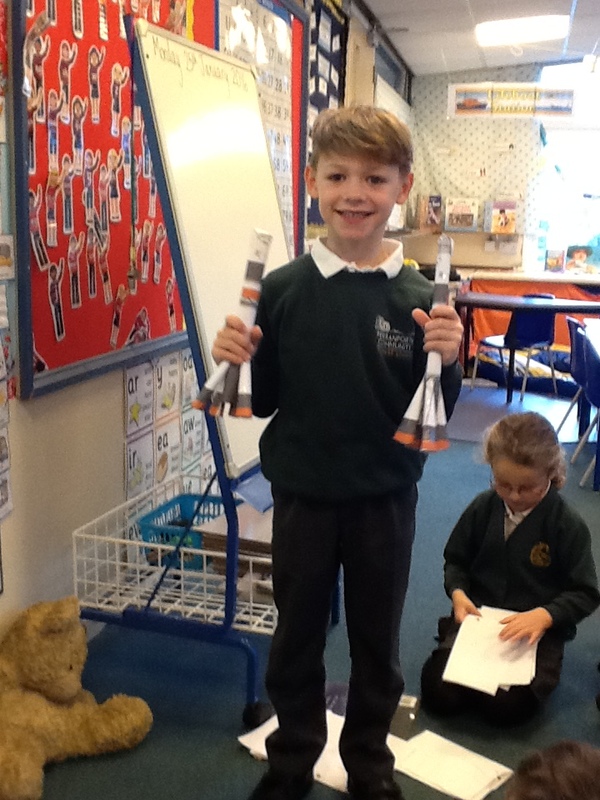 Compare the weights and order the objects from lightest to heaviest. This can be recorded by drawing and labelling the weights of the objects. You may like to involve children with measuring ingredients when cooking or baking this weekend. This week we have been practising our assembly and we are now ready for our performance on Tuesday at 2.30pm! We do hope that you can make it. 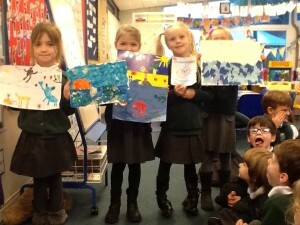 The children have worked really hard on their singing, acting and delivering facts and we are sure you will enjoy it! 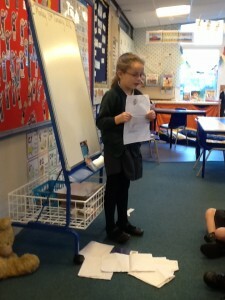 Homework this week is to learn their lines – every child has been given a script to practise from. If you need to see us, please drop in to see either of us or email us on esmitheram@perranporth.cornwall.sch.uk or sburns@perranporth.cornwall.sch.uk .